In January 2016, the Inner-City Muslim Action Network (IMAN) expanded to the Atlanta metro area. This effort is the result of several years of working closely with leaders in Atlanta and successfully training local community organizers. Directly serving “returning citizens”, IMAN Atlanta’s Green ReEntry program offers a holistic regiment including transitional housing, spiritual development, basic education, life skills instruction, on-the-job construction training, and job placement support. The current cohort is currently renovating a property and transforming it into the new IMAN Atlanta office. 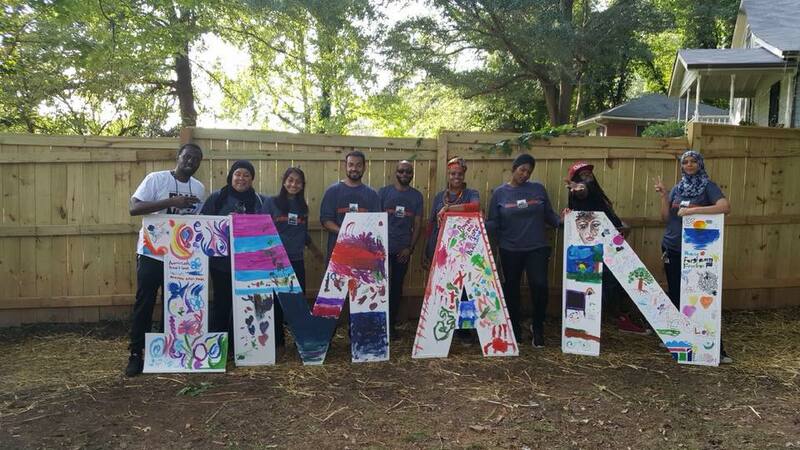 IMAN Atlanta is extremely active in community organizing and the arts. Nationally renowned artists and activists—like Talib Kweli, Oddisee and Ms. Ilyasah Al Shabazz—have galvanized attendees of events like #FightFearBuildPower and CommUNITY Café. 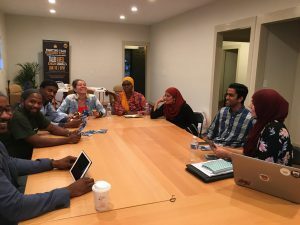 Led by Director Mansoor Sabree, IMAN staff and leaders have successfully advocated for refugee and children’s rights in the state legislature, and engaged community members with quarterly “IMAN Sessions” gatherings. Click here to support IMAN Atlanta today! Click here to apply for IMAN Atlanta’s Green ReEntry program! Follow IMAN Atlanta on Facebook!